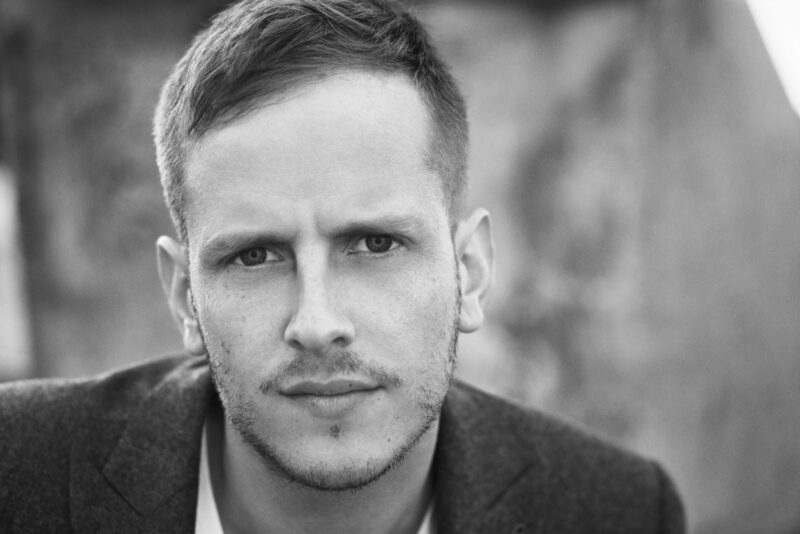 Ilan Bluestone has become of the must-know names in electronic music. The Anjunabeats powerhouse is best known by trance music fans for his emotional, uplifting, club-ready productions. Taking some time from his busy schedule to sit down with The Nocturnal Times during his extended visit in New York City, Ilan humbly filled us in on all his recent and upcoming ventures. What’s something that might surprise you about Anjuna-favorite ilan Bluestone? He’s actually a trained airplane pilot. Bluestone appeared on Armin van Buuren’s A State of Trance 850th episode celebration in Utrecht, Netherlands along with other trance legends such as Sander van Doorn (Purple Haze), Gareth Emery, W&W, and many others. During the ASOT 850 live stream, Ilan proudly revealed that his debut album Scars would be seeing its official release in April. Scars, the forthcoming debut album from ilan Bluestone, features the title track with Giuseppe De Luca, “Frozen Ground” feat. Giuseppe De Luca, and his latest single “Another Lover” feat. Koven. When we sat down with Bluestone, he filled us in on his discovery of trance music in the mid 1990s along with his brothers. From recording vocals on his cassette player to recording with Giuseppe on massive dance floor anthems, Ilan has come a long way and proclaims that he’s just getting started. With the backing and support of emotional trance titans Above & Beyond, Ilan reveals just how humble and honest the gentlemen are and how thankful is he for their continued feedback on his forthcoming debut album. We talk flying planes, Madison Square Garden, Group Therapy with Above & Beyond, his debut Scars album, touring with Ferry Corsten, and what the rest of the year has in store for Mr. ilan Bluestone in his exclusive interview with The Nocturnal Times. The Nocturnal Times: How and when did you get you start in dance music? Did your upbringing influence your decision to pursue a career in music? ilan Bluestone: Of course! When I was a kid I listened to a lot of (it was actually my brothers who used to play a lot of trance and progressive house from back in the day) trance back in the day. At first, I used to listen to a lot of Mauro Picotto and Infected Mushroom, back in the day. I also listened to a lot of Ferry Corsten, Cosmic Gate, Paul van Dyk, many years ago. Probably in 1995-96 is when I first started really listening to proper trance music. I always had an ear for production and knew that I wanted to do that. I often wondered, “how did they make that sound?” and thought to myself, “I want to do that!” When I was about nine years old, I picked up a guitar and my parents bought me a guitar because I was playing really well. From there, I knew that I wanted to make music. When I was about 13 years old, I picked up a keyboard and started recreating the sounds I would hear in songs on the radio and stereo. I would record myself on the tape player and I would sing with my brother. The Nocturnal Times: Have you ever sung on any of your own tracks since your days of signing on tracks as a kid? Bluestone: Actually, yes! On my track “Bigger Than Love,” which is one of my big ones, originally I sang the vocal along with my old house mate that I used to live with at university. He came to my place and I knew I wanted a kind-of Depeche Mode-style vocal. I originally sang the melody on “Bigger Than Love,” but when I took it to Giuseppe, he really took it to the next level. Because he’s obviously a way better singer than me, he really blew me away with what he had to offer with his vocals. I knew it was going to be a hit straight away! I do tend to write and sing the vocals on tracks originally, but I do that as a base or a guideline to choose the vocalist I want to include when the time comes. I let the vocalists do what they want to do first and what they feel might fit their flow best and then play them my idea and we’ll collaborate together. The Nocturnal Times: If you weren’t traveling the world as a successful and globally acclaimed DJ, what profession do you think you would have chosen and why? The Nocturnal Times: We know that one of your biggest passion’s aside from music is airplanes and flight. and you’re actually able to pilot a plane! Can you tell us some more about this? Bluestone: Yes, this is true! I can pilot a plane – I’ve actually flown myself to my own shows before. I’ve been going with an instructor and have literally been flying and landing myself. I’ve had about seven lessons already in total (long lessons) and have flown about 20 or 30 hours. I’ve literally been landing at Dallas International Airport with Boeing 737s and I’m a little obsessed now, it’s funny, but it’s been awesome, really awesome. The Nocturnal Times: When we first found out about your love for piloting, we really wanted to sit down with you to talk a bit as you were flying to really spice things up! Bluestone: That would have been really cool! We can get to flying again in New York if you want! The Nocturnal Times: You’re currently on a headlining tour in support of your forthcoming Scars album. The tour had recent stops in Boston with Ferry Corsten as well as at Schimanski in NY. How were those show experiences for you? Bluestone: It’s been awesome! Ferry Corsten has been so supportive of my music, too! It’s been quite incredible because I’m a huge fan of Ferry in general – he is a huge inspiration to everyone! To be so chill and bro-ly with him it has been great because he’s a legend. Being able to tour with a legend who you look up to big time has been very influential for me. The good news is, is that we’re going to be getting together soon in the studio and do a track together which is a crossover of both of our styles. I’m really looking forward to our track together! Ferry is such a humble and nice guy so, it couldn’t be more awesome! The Nocturnal Times: Let’s talk a bit about your forthcoming debut album, Scars. What can you share with us about your debut album? Bluestone: Well, it’s due out soon (since we last spoke to Ilan, the Scars album release has been set for April). The album is about 90% finished right now, but I’m doing the polishing touches. Actually, Paavo (Above & Beyond) has been coming by my house in London and going through the album to make sure that sonically it sounds perfect. I know that Tony, Jono, and Paavo really like what’s going down so far. The album is going to really be a mixture of not just trance bangers, but a but of chill out, deep house, progressive, and 80s influences – there’s really a mixture of everything. It’s called Scars because I wanted to leave an imprint on absolutely everyone – and that doesn’t mean it’s going to be bad scars, it can be a good scar. Yeah, that really is what I wanted to do: I want to leave a touch on everybody who listens to my album, even those who don’t listen to electronic music. The Nocturnal Times: As a vital member of the Anjunafamily, you work religiously with Above & Beyond. It’s great that they’re already loving the album! What can you share with us about working alongside the holy trinity of dance music? Bluestone: The guys [Above & Beyond] are great because they are so real. They are so honest and so humble so it’s such a pleasure to work with them. They are always as honest as they can be, especially with regards to my new album, they’ve always been as honest as they can be. Its great to be able to have that relationship rather than just have people around you who are just yessing you to death and want you to just release something. A&B are all about the music and that’s how it should be, it’s very important! The Nocturnal Times: You’ve also played monumental ABGT shows alongside the guys before. How do those milestone shows benefit you and what do they mean to you? Bluestone: Yes, I’ve played three of them so far. Madison Square Garden was really a huge, huge opportunity. They always bring an incredible experience and the feeling was incredible, I can’t even describe how amazing that show was. Playing at MSG was life changing for me, life-changing for my family, life-changing for my friends. Just being able to tell people that you’ve shared the same dressing room as Muhammed Ali or Michael Jackson is a bit intense. When I was told 7 months in advance that I was going to be playing at The Garden, I honestly think I might have sh*t myself. I honestly played about 85% new music at that show so, it was a scare to be able to go out onto the dance floor to play music that no one has ever heard before. You don’t know how people are going to react, but they danced. So, that’s just such an incredible feeling. The Nocturnal Times: You’ve got a bit of an extended stay in New York this time around. What are some things you look forward to most when coming back to New York? Bluestone: I went to see Ground Zero today because that honestly means a lot to me and I wanted to go pay my respects. I was here just after 9/11 because it was a birthday present from my mum to bring me out here with I turned 13 years old. When I came out here, it definitely ruined my buzz to go to America. It was very heartwarming to go to Ground Zero because that was something I really wanted to do and see the burial site, pay my respects, and I want people to come here to check it out for themselves. There is something so warming about being here. On the bright side of things, I met up with a lot of my American friends here in New York, went to eat at bunch of great restaurants, and had some incredible times. It’s been a really nice time here in NYC this time around. I love New York, it’s such a great city! The Nocturnal Times: What does the rest of the year have in store for Ilan Bluestone? Bluestone: For me, my year is only getting bigger and better. People only get to see me externally, but internally, things are getting bigger and bigger for me as an artist. There are many things that are about to happen in my life as well as my career that are going to take things to the next level. I’m excited for everyone and I really appreciate everyone’s support and amazing feedback. I try my best to involve my fans in everything that I do, which is why I do so much Instagramming; I like to keep people tuned into my life and what’s going on so that they can kind of enjoy the ride along with me! Mark is the Founder of The Nocturnal Times. As an electronic music veteran, Mark has nearly 15 years of industry experience. The definition of a true music aficionado, Mark’s passion is prevalent through each of the projects he chooses to pursue. He acquired his Masters in Business Administration in Global Leadership and Brand Marketing and has since founded a full-service, unconventional artist management + development & creative agency.